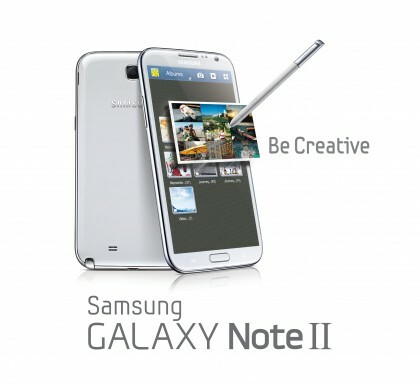 Looking to get Samsung’s multi-tasking masterpiece, the Samsung Galaxy Note 2, via Sprint? Well you’re in luck because we have their launch details right here! Sprint has just made an official announcement regarding their plans for the reigning phablet champ, the Samsung Galaxy Note 2. According to reports, eager Samsung Galaxy Note 2 fans planning to get the device via Sprint won’t have to wait long — the device drops just nine days from now, on October 25. This will also just be a day after Samsung’s planned US launch of the phablet. Previously, we’ve shared that T-Mobile was looking at making the device on October 24 but no details were given regarding pricing. The Sprint announcement doesn’t keep things vague and reveals that the Samsung Galaxy Note 2 will cost $299.99 with a new two year contract. Both color variants will be available — Marble White and Titanium Gray. The Samsung Galaxy Note 2 will be the first handset carried by Sprint that will cross the 5-inch mark and their decision to pick it up was no doubt spurred by the success of the original Samsung Galaxy Note with AT&T. Sprint is also giving fans of the Samsung Galaxy Note 2 a cheaper 4G LTE data plan at just $79.99 a month, $20 cheaper than what their rival Verizon is offering. The carrier has been taking steps to significantly expand its 4G LTE coverage; their network now covers 24 major American cities with more to follow in the coming months. Will you be getting the Samsung Galaxy Note 2 with Sprint? Does their $79.99 4G LTE data plan appeal to you? Share your thoughts in the comments below!